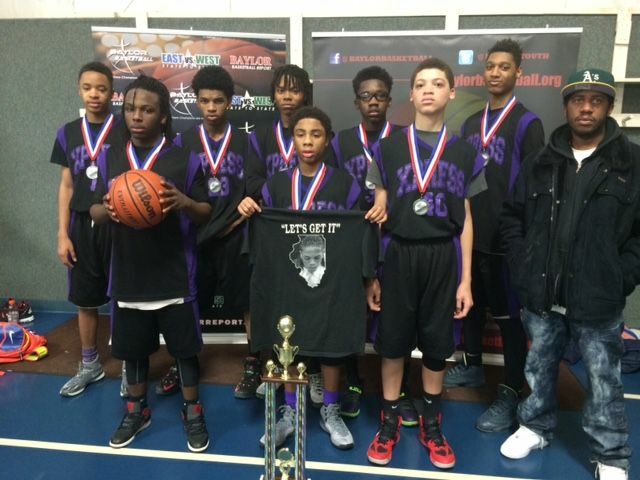 Winter Basketball League ends with a BLAST! 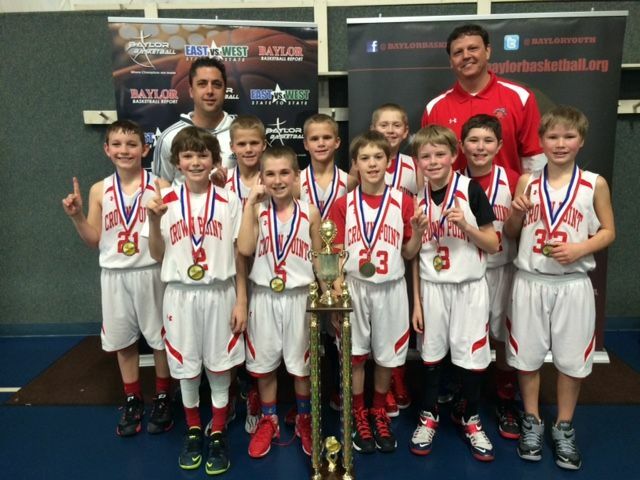 Baylor’s Winter Basketball League ends with a BLAST! We brought in the best competition throughout Northwest Indiana, Wisconsin and Chicagoland Area. Here are the results for 2015. Look forward to seeing you ALL next year! 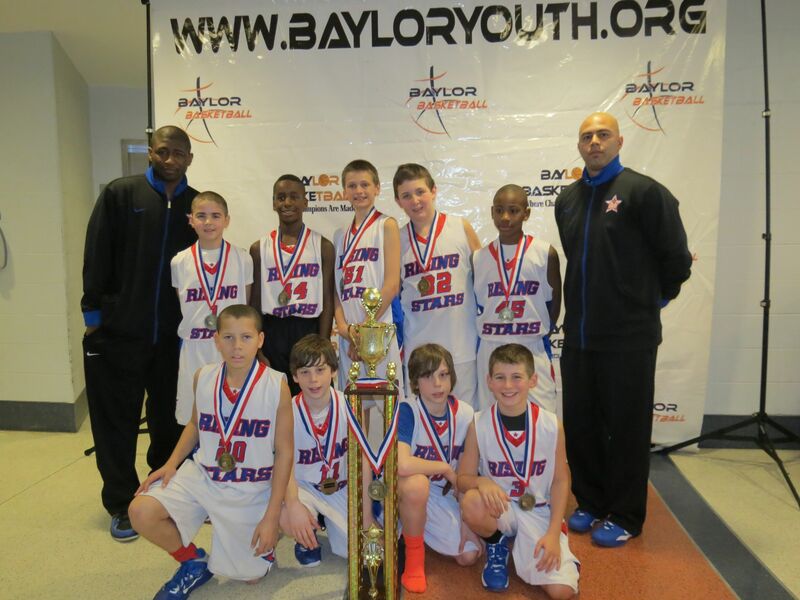 The Baylor’s Winter Basketball League Championship is set for Sunday, February 22, 2015. Come out and support your favorite teams. 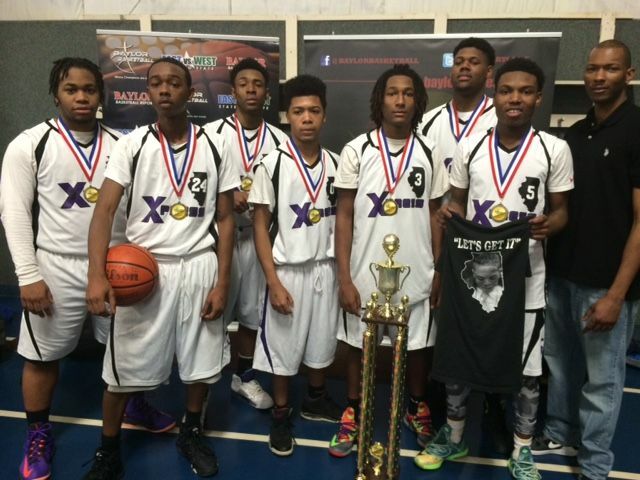 We have the most competitive 2nd-8th/High School players in Northwest Indiana and Illinois. The games will tip off at 8am. League games will continue from 8am-5pm on Sunday. All winners will receive 1st and 2nd place trophies. We look forward to crowning the new league champions and MVPs. 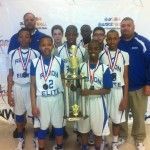 This league gives theses young players the opportunity to play the best teams in this area. If you want to get better you must play the best! Don’t miss out next season! Our Alumni from our league makes their middle school and high school teams. We have an endless list of Division I players that have played in our leagues. Reserve your spot now! The league allows you to play 10 games over five Sundays. We play our games ONLY on Sundays. We will be starting again in January 2016. We would like to thank all the coaches, players and parents for making this the #1 basketball league! As the league comes to an end, several players stick out in your mind. 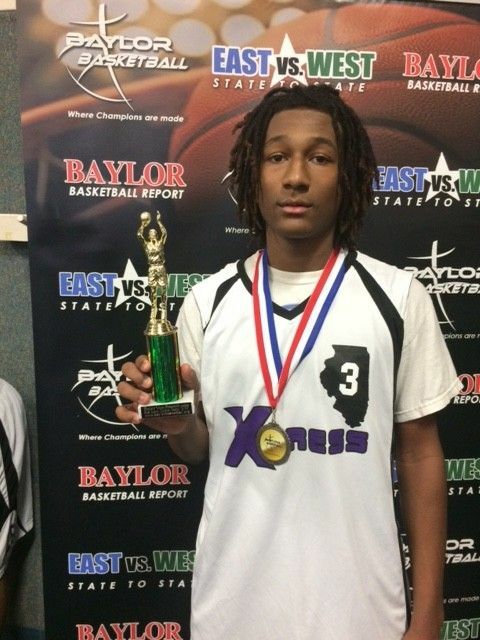 One of them is Illinois Xpress’s Jordan Kirk. 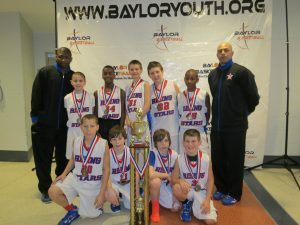 Illinois Xpress has been apart of the Baylor Basketball League for over five years. They are the reigning champs year after year for the boy’s high school division. 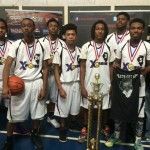 Aurora Clay is the founder of the Illinois Xpress program (And has a sister running an Xpress program in Georgia) and prides herself on helping theses young men stay off the street. She has managed to do it by putting a basketball in their hands. 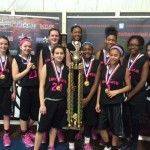 Majority of her team is comprised of football players who love to play basketball. But what is extraordinary about her program is that she takes the kids that are less skilled, less fortunate and players that have physical/mental disabilities. And these kids can play! I have watched her program continue to grow year after year. She does not turn anyone away. She makes it WORK!! I always recognize and give thanks to God for mentors like Aurora in our communities that are truly helping these young men and young women overcome adversity. This story leads to Jordan Kirk who has so many similarities to Dwayne Wade. Both grew up in the Oak Lawn area. Jordan attends Harold L. Richards. The same school Dwayne Wade and his program director Aurora attended. Jordan Kirk and Dwayne Wade also played football and basketball for their High School. Jordan is a strong shooting guard who is a high scorer just like Dwayne Wade. Jordan caught my eye on paper. He scored 27 points in one game and 25 in the next. I went to watch him and had to ask Aurora why he was not playing for his high school team? She told me he had a disagreement that lead to an immature act of him quitting the team. Since then, he has matured and humbled himself and plans on playing college basketball. Most people would think the odds would be against him but they are NOT. Aurora has managed to place ALL, I repeat; I said “ALL” of her unsigned seniors into college where they have received athletic scholarships. So, it will not be any difference for Jordan. I believe in second chances and Jordan Kirk definitely does too. He is a 5’10, unsigned senior who can handle the ball and shoot lights out! He can take you off the dribble or pull up with the midrange shot. He can do it all. Aurora will be bringing the boys to the unsigned senior event on March 28-29 where the college coaches will definitely not be disappointed. We wish Jordan and his team good luck this Sunday as they plan on defending their title. 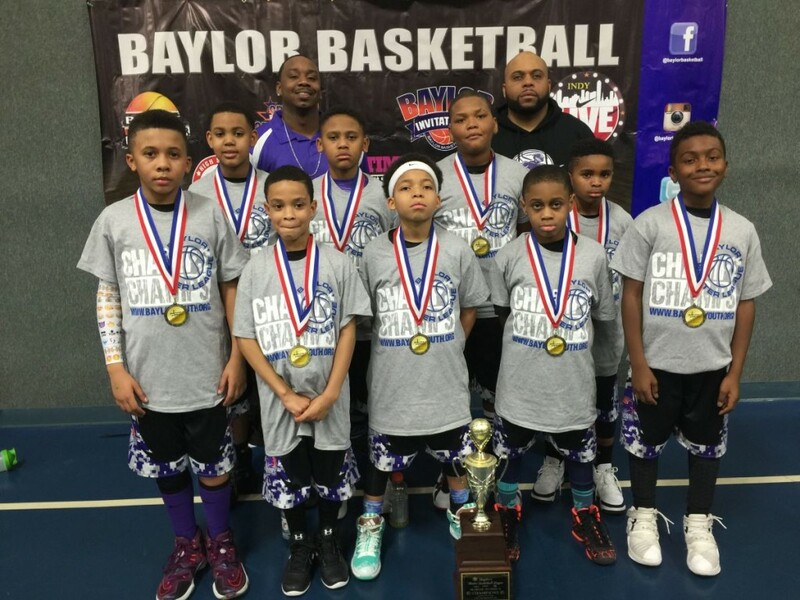 Week Two of the Baylor’s Winter Basketball League started out with a Blast! The League teams in addition to the visiting teams brought in a competitive and excitement atmosphere. 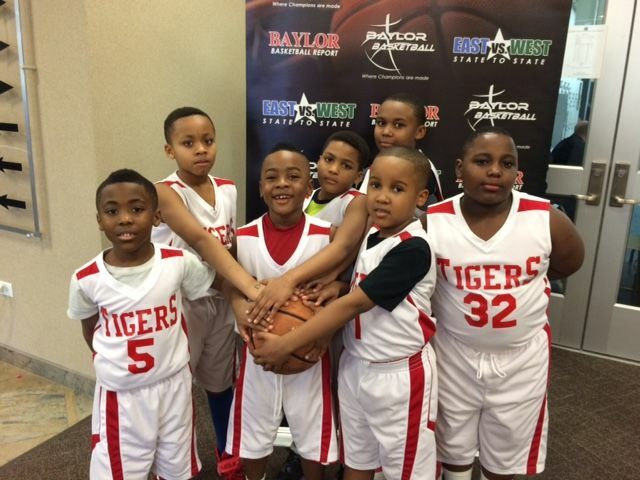 Two of the feature teams this weekend were the Steger Wildcat’s Basketball and Chicago Tigers. 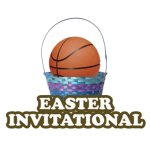 Both teams were comprised of kindergartens, first, second and a couple of third graders with each team having 1 fourth grade player on their teams which made the teams eligible to play in the fourth grade division. It is so fun to watch these little guys go! The final score was 17-18 with Steger taking the victory. Some more headliner 4th grade teams were the Little Boilers who are currently 4-0 and the Panther Black who is also currently 4-0. 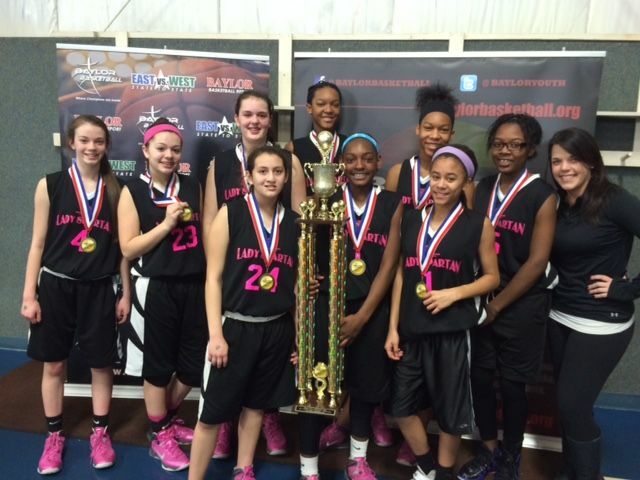 The Shot Callers, Munster Red and Chicago Select represented our winter league defeating the visiting teams. 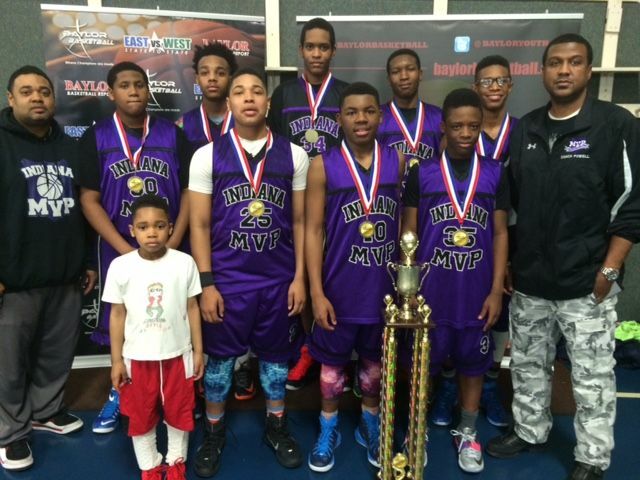 The Shot Callers went 2-0 against Team Evolution (58-22) and Indiana MVP. Munster Red (41-35) also went 2-0 against the same teams. Jr. Varsity went 2-0 both weekends. 6th grade Panther Black is still undefeated with a 3-0 record in pool ranking. Steger Basketball 7th grade team who also has a 2-0 record. Chicago Select beat the Iowa Barnstormers 53-40. Iowa Barnstomers is a poised and highly skill program that have been attending the Baylor Events for several years. Teams need to take notice because they are the best because they play the best competition. It is all about getting your kids better! See you on the court! The league starts back up on Sunday, February 8, 2015 at 8am. The 2014-15 Winter Basketball League jumps off on January 11, 2015. We have extended the registration deadline. Coaches sign up online or send in your registration paperwork. We started the first week of the Winter 2013 Baylor Basketball league on Sunday, December 15, 2013. The new and returning teams put on a some extremely basketball ESPN worthy highlight moments. When we say we only take the best of the best we mean it and it shows in how these talented players conduct themselves on the court. It’s intense and inspiring. These discipline and well coached players displayed their talent in front of an active crowd who loudly cheered their teams to victories and encouraged their opponents to come back and try again. It was exciting and emotional. Next league games will start on Sunday, January 5, 2014. We need YOU to come out and support Your teams. Follow us on Facebook, Twitter, and Google to see some of the highlights. See you there! Come and play in the most competitive winter basketball league in the Midwest. 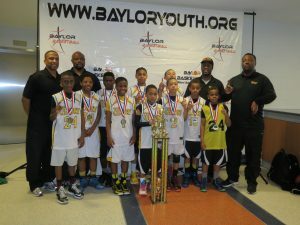 Baylor Basketball has been hosting it’s league for over 10 years strong. 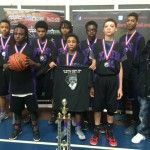 The league is open to all traveling, AAU, school or recreational basketball teams. We have a flexible schedule with games played only on Sunday mid-morning to afternoons. Play 2-3 basketball games on the weekend. It is a 10 game league which includes a double elimination championship tournament. Championship event includes 1st & 2nd place trophies with individual medals. D1 and D2 divisions will be created with eight teams or more. Teams may request additional games against higher grade divisions. Check out our store to complete your enrollment today! We are now taking registration for the 2013-14 Winter Basketball League! Sign Up Online or request a registration package. The 2013-14 Baylor’s Winter will begin on December 15, 2013 . The season ended with a blast! The underdogs who had been defeated final reveal that they have talent. And it does not matter what level you start at, it only matters where you finish. So, congratulation to all the teams for their victories. And we hope to see you all next year! 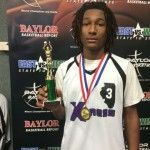 Eye Opener For All at the “Battle of the Borders” EventThis past weekend’s “Battle of the Borders” tournament featured some of the country’s brightest up-and-coming talent. Teams from Illinois, Indiana, Georgia, Wisconsin, Arizona, North Carolina, Maryland, and Washington, D.C., converged on the campus of The University of Illinois in Champaign to engage in fierce competitive play. The 3rd grade championship was a nail biter with Indiana’s Region Elite taking the championship over The CU All-Stars, 32-29. The Rising Stars 4th grade traveling team took the title home to Deerfield with a dominating performance in bracket play, capping off their weekend with a victory over LBC of Indiana. Team Glory’s 5th grade team also carted some hardware home after finishing first in pool play and capping off bracket play with a 39-24 victory over Georgia’s Worldclass Sun Devils. 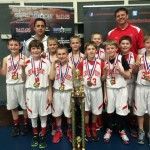 G3 Hoosiers of Indiana earned bragging rights at the 6th grade level after defeating Illinois Future in the Final Four, and Wisconsin’s BCB club in the championship. 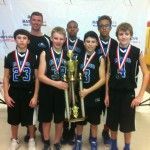 The 7th Grade George Hill Rising stars picked up where they left off at last year’s national championship finals performance, snatching another trophy to add to their collection of awards with a 9 point victory over the always-competitive SW Jets team. The Jets are a well-balanced team and without a doubt will see huge success this upcoming summer season. 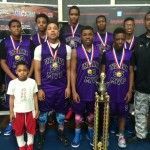 The Li-Ning Buckeyes ended their dominating tournament run with a victory over the Peoria Soldiers. The Buckeyes moved through the bracket play in each of their 4 games with victories of 10 or more points in every game. While the kids worked hard throughout the weekend, striving to help their teams bring home championship hardware, the “Battle of the Borders” also offered an opportunity to take a break from competitive play. On Saturday the East vs. West All-Star Game allowed the event’s better players at each grade level to compete without their coaches pulling the reigns too tight. The players seemed to love the whole experience, from the personalized uniforms to the commentary over the P.A. system, to the skills challenge during halftime of each game. The all-star games started out in record-setting fashion thanks to Maryland’s Zion Harmon. The Bethesda 3rd grader led his West stars to victory, finished the game with an amazing 47 points. 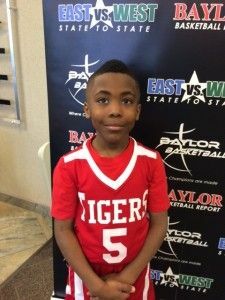 He also participated in the 4th grade game as well, ultimately earning an MVP honor. 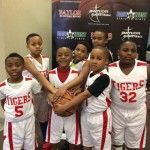 The 4th, 5th, and 6th grade games, while lacking in record-setting performances, remained competitive and entertaining with players displaying off their deep shooting range, no-look passes, and engaging personalities. They definitely understood that they were participating in a special event, and often played up to the crowd drawing a huge number of spectators to observe the show. The 7th grade game showed itself to be more competitive while not lacking in entertainment. The always-entertaining Chase Adams (Chicago) put on a dribbling exhibition for the audience, but ultimately came up short in all-star play as his East team lost by 3. Unfortunately, due to a lack of available participants, the 8th grade stars were short on players and had to rely on many of the 7th grade all-stars to round out the teams. These guys definitely played up to the challenge and contributed another highly-competitive game that drew a large number of spectators. This final game brought an end to the tournament and resulted in a lot of satisfied fans raving that the game would be in good hands for years to come.